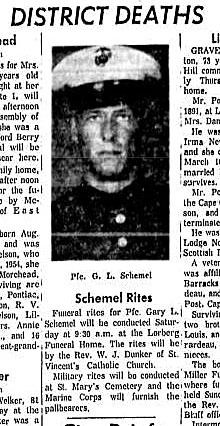 While looking for something else, I ran onto an obituary photo of Pfc. Gary Leroy Schemel, who was No. 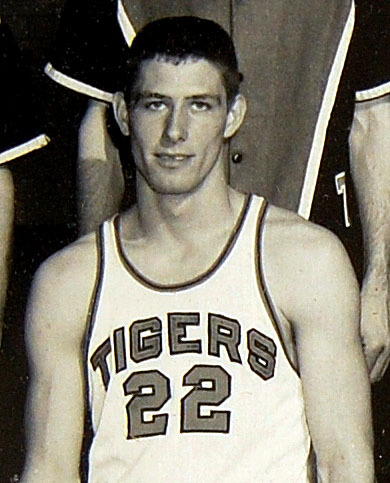 22 in the photo above of the 1963-64 Conference Basketball Champions. 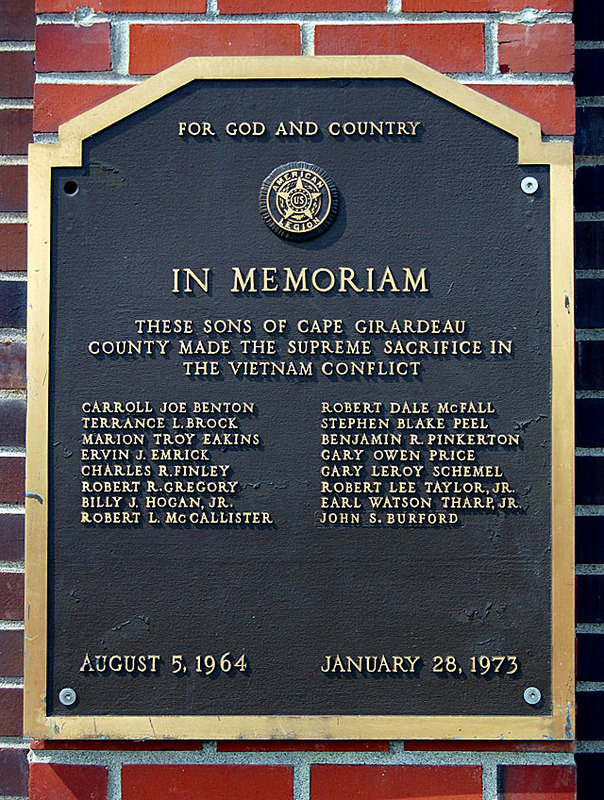 I remembered that Gary had gone into the service right out of school, and I vaguely remembered that he was one of the first of our classmates to die in Vietnam, but I didn’t know any details. The Oct. 8, 1965, Missourian story was equally vague. It just gave the date of the funeral and that military rites would be conducted at St. Mary’s Cemetery. All of a sudden, it seemed like I was running into Gary’s name all over the place. 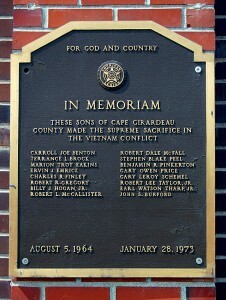 When I photographed Cape Girardeau’s Freedom Corner honoring the war dead from World War I onward, I noticed his name. When Terry Kitchen was telling the story about ghosts at Central High school, he pulled out some of the yellowing championship team photos he had salvaged from the dumpster, Gary was in two of them: the Conference Basketball Champs above and on the 1964 Conference Track Champions. 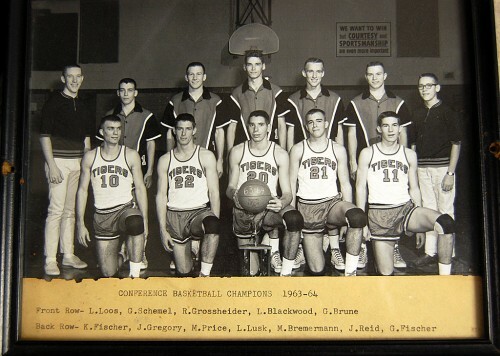 Gary is the fourth from the left in the top row. I couldn’t find anything in the Google News Archives of The Missourian about Gary, but that’s probably because of errors in the index. From his niece, Ramona Hobbs: Gary Leroy Shemel was the second oldest of six children, Barbra, Daniel, Donna, Joyce and Randy. He was also survived by his mother Anna. His father passed away from cancer when Gary was a child.